In early 2000, the change in people about getting eReading materials came about. The avid readers were looking to new avenues which could give them more options to read. They were looking beyond the usual books, journals, and perhaps mechanical reading. Something new was the call for the day. And technology which came about inevitably came with some answers. People could turn to them for getting more for their needs. Technology giants such as IBM, Apple, and Microsoft were the first to come to this area. They had both the ideas and the resources to make a difference. It was in this context that, Microsoft came out with a proprietary format which was named with a simple extension, LIT. 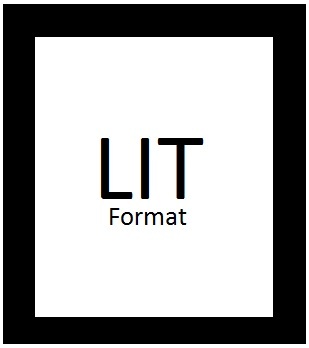 LIT Format was a short form for a more easy term which applies to reading today. The term came from Literature. Literature format, or only called LIT is a Microsoft particular format. When Microsoft came out with its reader in the year, not many people could guess the real intent behind it. Was it just to take on other eBook promoting hosts? Or was it to take on organisations like Amazon, Barnes & Noble, Apple or Adobe, who came out with their own reading devices. In this context, it was a time you could get readers like Kindle, Nook, iBooks, Adobe Readers, each picking up formats of their own. Some would read Mobi or PDF, while others preferred to go with just a simple format like XHTML, PDF, TXT or RTF. LIT was yet to come. Each had their advantages. You could practically cater to all your needs to read, edit and view eBooks in any way you want. Perhaps this was one of the main reasons for someone like Microsoft to come out with its eBook reader. Microsft Reader brought out its reader in the year 2000. Although, initially the reader came to support third party formats like PDF and XPS, and not LIT. One advantage which the company had with an eBook reader, was that the tech giant had the world’s most popular Operating system. And as it were, Microsoft Windows was being used by millions of people all over the world. Hence, eventually, Microsoft Reader came about doing the most logical thing. It ported the Microsoft Reader to Windows system and with it came LIT. Hence, you could safely say that LIT came about being a Windows PC system format to read eBooks. As we saw previously, you can get about reading LIT files within your Microsoft Reader and systems. Although, in the present time, the format may have lost out to many other files and formats, which usually have and do more with the book restrictions. They are not bound by just text needs and author thoughts on plain paper. Ebook formats like ePub and Mobi usually give you the freedom to include as many in-depth images and graphics to go with it. That’s how we came about having Daisy Books or AudioBooks which gave you a new way of reading content and books. Thus, you could easily load them up and never look for any place else to understand the content in it. Lit was on the way to serve the purpose in a big way, coming default for all text matters within the Microsoft Reader. However, it could not speak up to the needs and faded away as time went by. LIT files came out with Microsoft Windows. The easiest way of reading LIT formats is through windows desktop environment. You just have to look for the nearest Windows system and get it. Of course, you can easily get going with LIT files, like any other file, when they are DRM free. Digital Rights Management is something that does not allow you to view, or edit simple text files just like that. Now, when you open them, you can see that they are protected. Even when you can type and edit, you may not be able to save. Therefore, you will need to go ahead and unlock the DRM file, before you get to reading and editing the LIT file in Windows system. For doing so, you will need to use third party software tools to get them to open. In this context, you will need to understand that, you can perhaps only view the file in earlier versions of Microsoft Reader. In only the later versions will you see that you can go to edit the file. 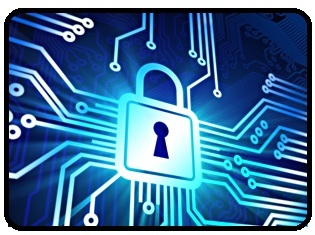 There are many online free to use tools, which allow you to download and unlock the DRM files. When you open the files, you have all the freedom to explore. One of these tools is ConvertLIT GUI, which you can download for free. Essentially, we are just trying to replace the DRM core of the LIT file with another. So fire up the programming tool and get to the job. Since Microsoft has shut down all other things for generating activation keys, you are left with this option. Click the “Downconvert” tab in ConvertLIT. This will open the page that allows you to remove the DRM from the LIT files with the proper key. If the LIT file doesn’t have DRM, use the “Extract” tab instead. The process is the same for both tabs. You can select the folder that you want the converted files to appear. By default, ConvertLIT will add “.downconverted” to each file. You can uncheck this box if you don’t need the converted files labelled. When you click on the DownCovert, you will see that you can convert the entire input into a select set of files. You can also monitor the frame to see the progress. This eventually will make up the LIT into a DRM free file. The easiest way of converting LIT files into others is by way of online tools you get specifically for this purpose. Of course, there are tools which claim to do so online itself, but it’s better that you don’t take that risk. Simply because of these sites like Zamzar or OnlineConvert, are not safe. The content can get lost if you try to use these online sites to go for it. Hence, trust us, you have to go for offline tools like Calibre, Sigil or Scrivener to your conversion needs. The prime reason for doing so is that they give you all the freedom over formats and control over conversion aspects. You know what you are getting into. To convert LIT files to other formats, we’d say Calibre works well. You won’t have to look out for anything. Also, any publishing company worth its salt usually uses Calibre to do its conversion work. So yes, it is pretty much the industry standard. You can load DRM free content and files directly into Calibre. Drag and Drop are the way to go here. If you’ve used Convert LIT to open up LIT files, you will find them under the same file in the Documents folder. Select all, and drag them into the Calibre window. Alternatively, you can also ZIP them into a single file and load them up. This may take a while but will save you some good time in arranging the pages. However, you need to remember that Calibre cannot load up DRM protected files. They have to be open for Calibre to go about editing them. After all, that’s what protection means. Give the program an output file. It shouldn’t be that difficult. You just have to select one from the drop-down menu. Of course, the most common types of formats are Epub or HTML5, but you can push for some other file formats as well. Click ‘Convert’ or ‘OK‘ button to start the conversion and get it going with the process. The new format will show up in your operation window, which you can save easily in a few steps. All in all a simple process with easier resources. You now have changed LIT files into some format which you can read on your favourite eBook reader, or in an application. Although you may use the above steps to go ahead and use it for any format output, you may want to know a different way too. After all, you can’t be overly dependent on just one way of doing it. LIT is a format that many top eBook readers do not usually support. But then, you don’t have to worry about that anymore. Presently, we have our eBook converters (both online & offline to do the job). Of course, the time has changed and with that the ability to do things. You can use Online Converter tool for doing so. The process is simple. Select a site such as Convert.Files and load them up. In the output options, select ePub to use the LIT file with your eBook reading options like Moon Reader, Helicon, BlureFire or Aldiko. However, if you are looking for something in Kindle, then Mobi is the format you need to go for. However, amongst all this, you can use it convert the input files into PDF as well. This will be read by Adobe PDF viewers or other competent formats. The other way of doing this is by using the above methods. Using Calibre to achieve the conversion. 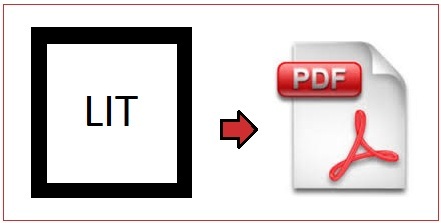 The only thing you need to change is that in the output file format you will have to select PDF. Another tool which you can use to go down with conversion is MS Reader. MS Reader, as the name implies, is something of a direct exclusive for Microsoft Windows. Notice the connection here? Well, Microsoft once it stopped the production of files in LIT, allowed the users to convert them into eBook that they still use. One of these options was the small little option called MS Reader. However, MS Reader will install only in PC systems. Go for convert option, and within moments you can have your LIT file in a whole different way. Hence, you don’t have to worry about those old LIT files you have in your digital library. They will come back to you through this. The basic idea behind having LIT ebook format was to usher the culture of eBook forward. Companies wanted people to lap up electronic formats of their physical counterparts. Microsoft, for the most part, did what it set out to do, by giving the market the Microsoft Reader and also a format to serve it. Of course, with time LIT gave way to Epub (and to some extent Mobi), and slowly went away. However, by this period, you had several thousand of eBooks, journals, enhanced eBooks, and scripts which were made in LIT. The question arrived as to how you could change the format to appeal to the new generation of eBook readers. Well, the clear answer was to make these files into Epub. This format is perhaps the most widely used eBook format and can be used in almost all the eBook reading apps and devices all over. If you are looking to convert LIT to ePub, you won’t have to worry much. The easiest way of doing so is Calibre. The tool and its capacities we’ve already seen in the previous discussion of converting PDF. The process remains the same too. All you got to do is drag and drop your eText material in LIT, into the window of Calibre. And in the output, you just need to go for Epub this time. In moments, you will see that the conversion is complete, and you can save your ePub file into the system. The process remains the same when you want to convert LIT into Mobi as well. However, while the conversion remains easy, you will have to consider the effects of importing Illustrations and Artworks. Most times, these are the things that go wrong. The resulting output will have some alignment shifts, or images going wrong, or the arrangement issues which ruin the whole purpose of having an eBook. You can control certain aspects of it by entering the Advanced mode in Calibre in Options. Once you do that, you have a better way of looking at things. Although, be careful not to mess up the scales here, as it can lead to no conversion at all. As we have previously seen, you have the inbuilt Microsoft reader to do your job. You can easily load up LIT files in a Microsoft OS system and get going about it. First off, if you want to open a .lit book, you can download a free reader called Microsoft Reader. The Microsoft Reader will allow you to open .lit files and read them. However, if you want to read the books with the .lit extension, you will have to convert them to another popular format like ePub, Mobi or PDF. One other and perhaps a smarter way of doing so is that you can convert LIT files to other formats (as shown above) and open it in any app on Windows. All the people with the LIT files, can perhaps directly go for PC readers, or go for converting the files. Of course, with that in mind, you can go ahead and read the LIT files not only on PC but also smartphones and other reading devices. With Android coming up with solutions for almost anything and everything, you have apps to do your chores. With the concept, you have a separate application in place for LIT files. Of course, you will have to go to Google Play and get the app. There are many apps which natively support the LIT files; you can be sure with some. One of the many apps we have in our consideration is LIT Reader, which claims to do exactly what it is supposed to do. The additional advantage that you get with LIT reader app is that you can also use it to convert files on the go. Ever had a situation where you could not open the files as your device didn’t support it? Well, that’s what this app solves. You get a solution for many other format problems answered here. Other apps like the ePub reader, BookReader, which do the work occasionally. You have your work done with these, but only rarely so. There is no guarantee that you’ll go ahead and use these on more than one occasion. Nevertheless, they show promise, and hence we mention them for reading LIT files on Android systems. Another way and a more logical way to go about it is converting the apps to a more modern eBook format. Well, you will have no difficulty in doing so, as we saw in the above discussion. Once you do that, LIT becomes a more popular format, and you can read them practically everywhere. Although today LIT is no longer a popular and supported format, it still is a crucial part of eBook history. Of course, with newer better eBook forms, an average eBook reader is always in advantage. The reader gets to enjoy his reading like never before. Presently, small third party online eBook sellers deal with LIT files. The file type was not heavily adopted due to the lack of compatibility with various devices. Realising its flaw, Microsoft discontinued and no longer supported the format by the end of 2011. Nothing to worry about, you have hundreds of formats which serve and even better the purpose of what LIT set for. Although this is a bigger challenge for any publishing company is to keep up the pace with which technology changed. A new format every day. This has been the continuing scenario with publishing entities. You have to keep pace with them or lose out on your business. That’s where Professional Publishing companies come into play, giving you that edge past others. Don’t waste your precious time on something you can easily delegate to our services. Drop us a mail, and we will go about bringing your work in the best possible way. PreviousPrevious post:Apple Pages Word Processor Makes Text Editing EasyNextNext post:Foxit Reader : The Best Alternative To Adobe In PDF’s Arena?